Cookies are information which we may store on your computer. Unless you have indicated your objection, our system will issue cookies to your computer when you log on to the site. Cookies make your user experience more enjoyable. They also allow us to monitor site traffic to help cater the experience for you. You may set up your computer to reject cookies by following the relevant instructions which can be found at www.aboutcookies.org. In that case, you may not be able to use certain features on our site. If you do not wish to receive cookies in the future get in touch. 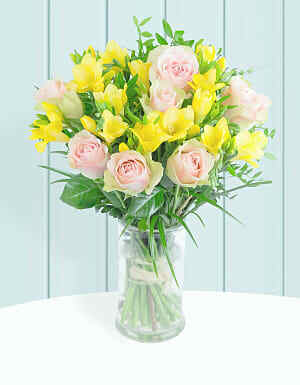 When choosing to send loved ones flowers from Cancer Research UK Flowers, you also help our cause to beat cancer sooner. 25% of all orders are donated to different causes to help prevent and fight cancer. We use only premium, fresh cut flowers in the bouquets we send out. These are hand-tied by professional florists. 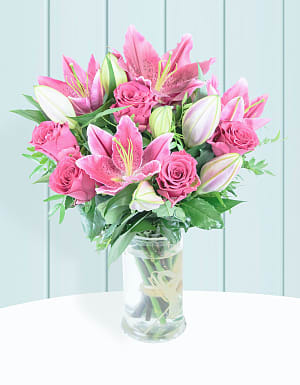 Some flowers are sent in their bud-form to ensure the bouquet lasts longer. You can also send a little extra with your gift and a free message card.